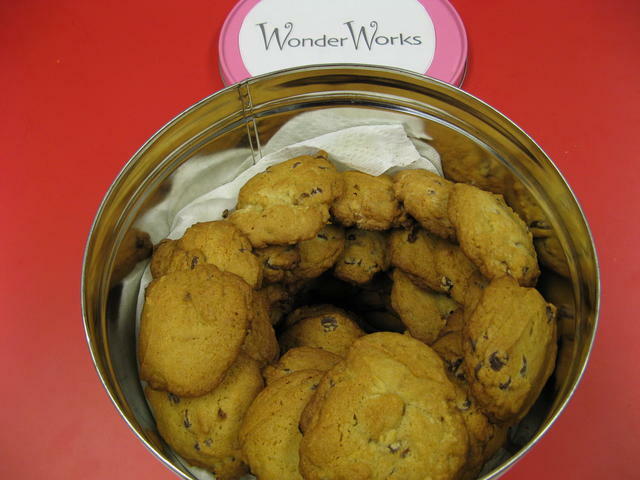 A batch of cookies that Nancy, aka Wonder Works, made for TERTL. Not quite visible on the tin lid is the text, "please return for eventual refill". This is Wonder Works's third fill :).